Home / Latest / What Is True Justice? I am quite conflicted over the current trial of John Demjanjuk, the alleged concentration camp guard at Sobibor accused of participating in the killing of 27,900 Jews during the Holocaust. This is actually the second time that he has been accused of murdering Jews during the Holocaust. 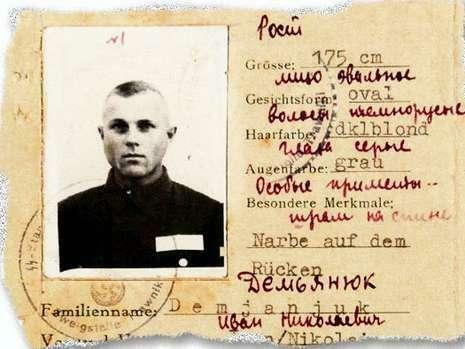 The first time, he was convicted and sentenced to death in Israel as Ivan the Terrible of Treblinka; a sentence that was later overturned because of lack of evidence. 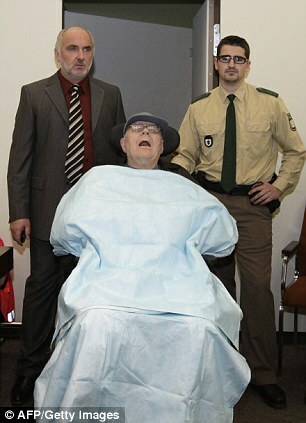 It is clear from the newspaper reports that at 89 years old, Demjanjuk is frail and unwell. He is so sick, in fact, that he had to be taken from the courtroom on a stretcher at the end of the first day of his trial. On the one hand, if found guilty, his conviction would offer, as Avner Shalev, the chairman of Yad Vashem put it, “a modicum of justice.” Moreover, this and other similar trials offer the German state an opportunity to compensate for judicial actions not taken earlier. But on the other hand, what kind of real justice would be served in sending an ailing and elderly man to prison? Perhaps this would help assuage German guilt, but that is not reason enough. The ultimate punishment, and one that arguably would most fit the magnitude of his crime, would be the death penalty. However, capital punishment is illegal in Germany, and has been since 1949, so that option is off the table. So we would be left with jailing a sick man who, in his current state, would probably serve just a few years before he dies. Moreover, in prison, he would have a roof over his head, three meals a day, and proper medical care. This is not true penance. So, instead of simply sending him to prison, I propose something more unconventional: Liquidate his assets and give the money to a Jewish charity or to other groups that help victims of more recent genocides. Or, if he has no assets, start an organization on his behalf dedicated to speaking out against racism, xenophobia, and ethnic cleansing. Something of this nature would punish him while at the same time offer something positive to Jewish communities, and other brutalized communities, that could begin to compensate for all that he destroyed. Neither the German state nor Demjanjuk has the power to bring back the thousands he allegedly killed. But he does have the ability, in some capacity, to offer care and support to the victims of his actions. Can you think of a more fitting punishment? Symi will be answering questions on her piece and the trial of John Demjanjuk on the blog next week. Please send all questions to editor@momentmag.com by Dec. 13. If Demjanjuk has no assets and we speak out against genocide in his name, that could accomplish the objective of fighting heinous crimes with a societal good. A brilliant idea! However, shouldn’t Demjanjuk be, himself, subject to some punitive measures? Living in a jail cell is certainly more uncomfortable than living at home. Wouldn’t justice be served by punishing Demjanjuk while, at the same time, forging an organization that would speak out against the very crimes that Demjanjuk committed? Why don’t you seize the royalty payments associated with Mein Kampf while you’re at it to create a foundation dedicated to speaking out against racism, xenophobia, and ethnic cleansing? This is neither justice administered nor served. As has been observed with Scotland’s ridiculously flawed decision to release the Lockerbie bomber on ‘health’ considerations, Germany should not succumb to the same temptation. If you believe for a minute that this alleged Nazi is as ill as his attorneys contend, then you’ll probably jump at a bargain price for ice in winter. If anything, the conviction and sentencing of this alleged Nazi is symbolic and retributive. Permitting a defendant to not endure punishment for his/her heinous crimes by creating a foundation in his/her name is a cop-out and an incentive for anyone to commit murder. Perhaps you should establish the Ku Klux Klan Konference on Social Injustice and Race Relations as a condemnation of its members’ conduct against African Americans over the centuries. Huh? how about if he was none of the people they accused him of being????? yikes. Seems you must want someone to crucify???? Justice is better served by leaving the guy alone. In fact leaving room for doubt. At least figure out who the frack you want to accuse him of being!? Maybe since we are keeping old grudges it is time for Israel to give back all its territory to the arabs they pushed off ???? HA I guess the grudges only go one way? ?